Carbide Systems, Inc. is a full service supplier for engineered Tungsten Carbide products and PCD/CBN grinding wheels. Carbide Systems represents Ceratizit USA and Action Superabrasives. We also are a full service carbide scrap dealer. Carbide Systems offers the largest inventory of carbide rotary tool blanks on the West Coast. We exclusively stock CERATIZIT brand carbide products. 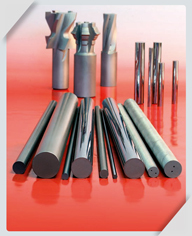 Carbide Systems is also the exclusive representative for CERATIZIT brand cutting tools. We offer all CERATIZIT indexable carbide inserts and cutting systems. This includes milling, turning and cut off systems. These products are available for stock on the west coast. Founded in 1999, Carbide Systems has been a leading supplier of engineered Tungsten Carbide products for the Western United States and Western Canada. We offer same day shipping of any product in stock, and factory direct pricing. Copyright © 2013 Carbide Systems Inc. All rights reserved.